Nalvula system, Lonetrek region. On the 16th of January at 22:30 EVE Standard Time, forces belonging to Northern Coalition. [NC], Pandemic Legion [-10.0] and allies fought Imperium forces in the system. The battle was sparked over two Project.Mayhem. [16-13] towers which were reinforced by the Imperium previously and were coming out of reinforcement mode. Since the towers came out well after Project.Mayhem.’s prime time and having to contend with the Imperium by itself, the alliance notified possible allies of the timers. In the end Northern Coalition, Pandemic Legion and Mercenary Coalition [MC] answered the call. Northern Coalition brought a 150 pilot Proteus strategic cruiser fleet, Pandemic Legion brought an 80 pilot Tengu strategic cruiser fleet, Mercenary Coalition brought a 65 pilot Sleipnir command ship fleet. Triumvirate. [TRI] also knew of the timer but came later on in a 55 pilot Ishtar heavy assault cruiser fleet when news of the engagement reached its fleet commanders. Project.Mayhem itself managed to gather 25 pilots in a Machariel battleship fleet. Against this the Imperium arrayed no less than 600 pilots in several fleets including a Machariel fleet, a Proteus fleet, a Jackdaw tactical destroyer fleet, a Hurricane battlecruiser fleet and a Cerberus heavy assault cruiser fleet. The first fleet to arrive to the system was the Imperium’s Machariel fleet, bringing along triage carrier support. The fleet also had dreadnoughts accompanying them in order to remove the hostile towers. However, with news of the allied forces amassing next door in the Taisy system, the Machariel fleet quickly retreated into a safe tower while calling for allies. In no time Imperium reinforcements flooded the system, including the Proteus, Jackdaw and Hurricane fleets. Even with numerical superiority, the Imperium was not willing to jump into the allies. Finally, in order to break the stalemate, the Northern Coalition Proteus fleet jumped into the system, anchored up near the Taisy gate and waited for the Imperium fleets to engage. Finally, Imperium fleets started landing at range of the gate, specifically the Machariel and Proteus fleets, engaging the Northern Coalition fleet and starting the battle proper. The field quickly descended into chaos as the allies jumped in and joined the fight with Time Dilation quickly kicking into high gear. As the battle raged on Northern Coalition lit a cynosural beacon in order to bring in a squadron of dreadnoughts to clear the Machariel fleet’s triage support and help destroy the battleships. However, this was quickly answered by the Imperium counter-dropping an entire capital wing on the field to remove the Northern Coalition. dreadnoughts. With the capitals on the field, most of the Imperium fleets focused on them, allowing the allied fleets some freedom to maneuver as well as a reprieve from the pressure exerted on them by no less than 4 Imperium fleets. The two sides continued to trade ships, with Mercenary Coalition taking the brunt of the losses while the allied Proteus fleet went straight for the Hurricane fleet, quickly decimating it. Yet more reinforcements arrived for both sides as the RAZOR Alliance [RAZOR] Cerberus fleet entered the system followed by the Triumvirate Ishtar fleet. The Triumvirate fleet had tangled with the Cerberus fleet before and chased it to the system, quickly joining the allies in targeting the Imperium. The allies then attempted to help the Mercenary Coalition fleet, focusing fire at the Jackdaw fleet which swarmed over it and forcing it off, giving some relief to the battered Sleipnirs. Once that was done, the forces collaborated in bringing down the Cerberus fleet, quickly disposing of its support ships and attempting to take down its fleet commander. This caused the Cerberus fleet to burn away from the hostile fleets, thus unable to contribute properly to the battle itself. Yet with the allied dreadnoughts destroyed, Time Dilation easing up, the status of their allies and the fact the Imperium fleets were prepared to continue fighting, the allies decided to withdraw. Quickly, the different fleets prepared to retreat, managing to warp off and jump out of the system, with Imperium forces declining to chase. With the field won, the Imperium fleets quickly removed the last tower, thus securing the strategic objective before safely extracting, putting an end to the fighting. All told the battle lasted 2 hours with Time Dilation reaching a peak of 10% though slowly subsiding near the half way point. The system itself hosted nearly 1100 pilots at the height of the fighting. 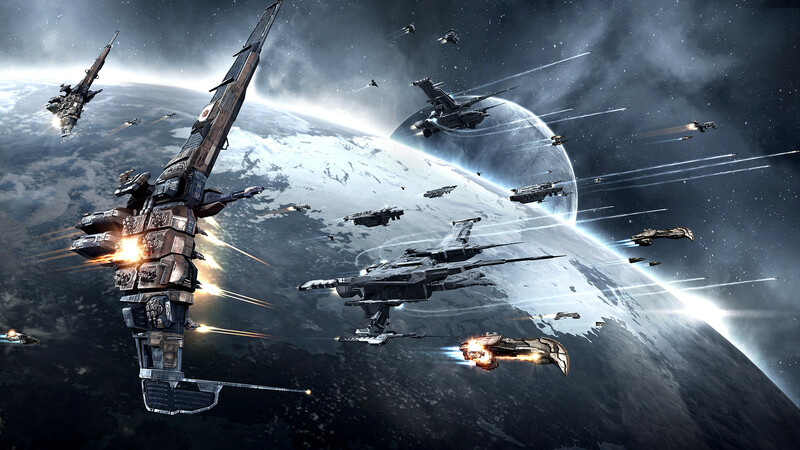 The allied forces lost a total of 77 ships including 9 dreadnoughts, 4 battleships, 15 command ships, 13 strategic cruisers and 1 heavy assault cruiser for 53.66 billion ISK damage. The Imperium lost a total of 79 ships including 6 battleships, 18 battlecruisers, 4 strategic cruisers and 5 heavy assault cruisers for 15.1 billion ISK damage. to truly obtain valuable facts regarding my study and knowledge. I simply want to mention I am just beginner to blogging and site-building and truly enjoyed this web-site. Probably I’m going to bookmark your website . You definitely come with superb article content. Thanks for sharing your website. I have become aware of blogs and also sort of recognize what they are. My concern is what do you create on a blog, like stuff thats on your mind or just whatever? As well as what websites can i logon to to begin blog sites?. I have seen a great deal of blogs in blogspot. What purpose do they serve? Is it possible to generate income via blogs. If yes just how?.